Summer’s Here!… And So Is Your Shiny Skin? A reader requested some suggestions on a great primer for oily skin, and since this is the season for oiliness, I thought to repost it here & add a few updated product suggestions. So…Personally and dermatologically speaking, I don’t recommend that anyone use any primer, ever, on a daily basis. That being said, primers are great for a special night out or occasion or even if you have a long day of meetings and need to impress or have no time to worry about touching up your makeup. I wouldn’t recommend a primer daily because it isn’t particularly good for your skin… It’s purpose is to impose a barrier between your skin’s oils and your makeup or to stop your skin from being oily altogether which isn’t good for the skin. If your skin produces too much oil there are always several reasons and sometimes it’s best to consult your doctor or dermatologist. It could be over-washing, stress, etc. but before finding ways to conceal oiliness, I would recommend finding ways to treat and balance the skin first. Now down to business. The number one recommended primer for oily skin is the Laura Mercier oil free primer. You can easily pick it up at Sephora or order it online. It’s completely water based so it works well in not adding any oil as well as providing a smooth makeup application for oily skin types. If you’re using mineral makeup or powder with this primer instead of a liquid foundation, you’ve gotta give it a few minutes to dry… or it can end up altering the colour of your makeup as you apply it. If you’re very invested in making sure you’re totally oil-free then I would pair this with the Laura Mercier oil free foundation too. CoverFX also makes a great oil control powder to blot with and to powder on top of your oil-free foundation to really set your skin with a matte look. A favourite system of mine for those with normal skin and T-zone oiliness is the Smashbox Photo Finish primer paired with the Smashbox mattifier in the T-zone since I find none of my clients want that ‘all over matte’ look which is not very natural looking. *New fave* The Too Faced Primed & Poreless Pure Oil-Free Skin Smoothing Face Primer For Sensitive Skin. It’s quite a mouthful but it really works wonders! To make your makeup last longer try a setting spray. The Model in a Bottle spray works well; I’ve used it on clients but find it’s not easy to find and a little pricier than other alternatives. Some people swear by the Urban Decay “All Nighter” setting spray. Personally I favour the Ben Nye “Final Seal” for my clients as I fi nd no one has ever broken out with any skin problems after I use this on them and the makeup stays the same after I apply it; I’ve even had clients tell me their makeup looked the same in the morning after forgetting to wash their face at night! The MAC “FIX” setting spray has a lot of reviews that it works great (although not cheap) but for sensitive skin users to beware that it often causes break outs and leaves the skin slightly shiny (which I think defeats the purpose) and the skin needs to be re-powdered after use. I love makeup, I truly do. But I hate the fact that because I have a mild makeup shopping problem, my whole bathroom suffers. Not to mention that the more product I have, means the more heavy my kit is when schlepping around town servicing clients. One of the items I love the most in my kit, I tend to often times leave at home. In a box. It’s ‘pigment pots’. MAC has pigments, Gosh has Gosh pots, Lise Watier has Folies, NYX has pearl powders. 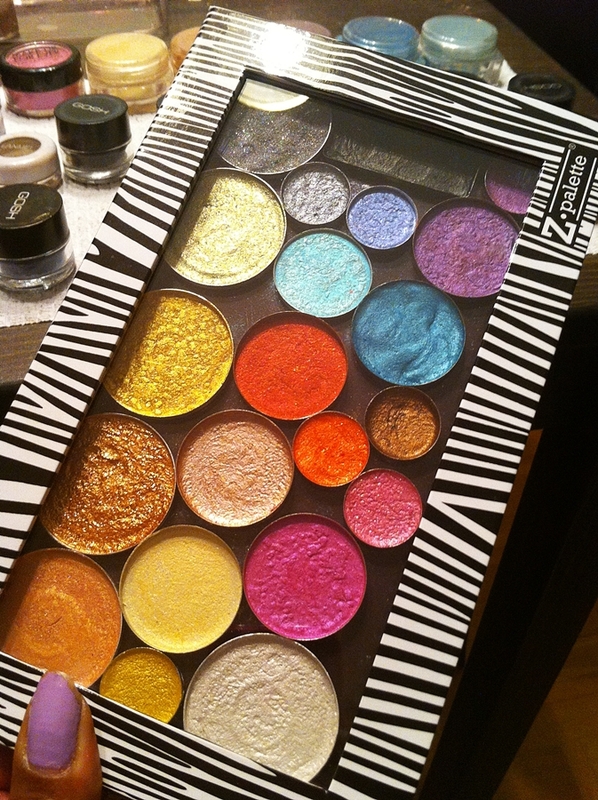 They’re all loose pigment eye shadows that come in individual pots or containers. They apply with a sheer pop of highly pigmented colour when dry or give a big burst of concentrated colour when wet or if primed properly. I love using these but I just can’t justify lugging them around. I usually bring my 2 most used colours with me, my close-to nudes, and leave all the rest on my makeup table at home. It’s so sad. So I finally decided to press my pigments. I had tried this a couple years back but didn’t really like the result. 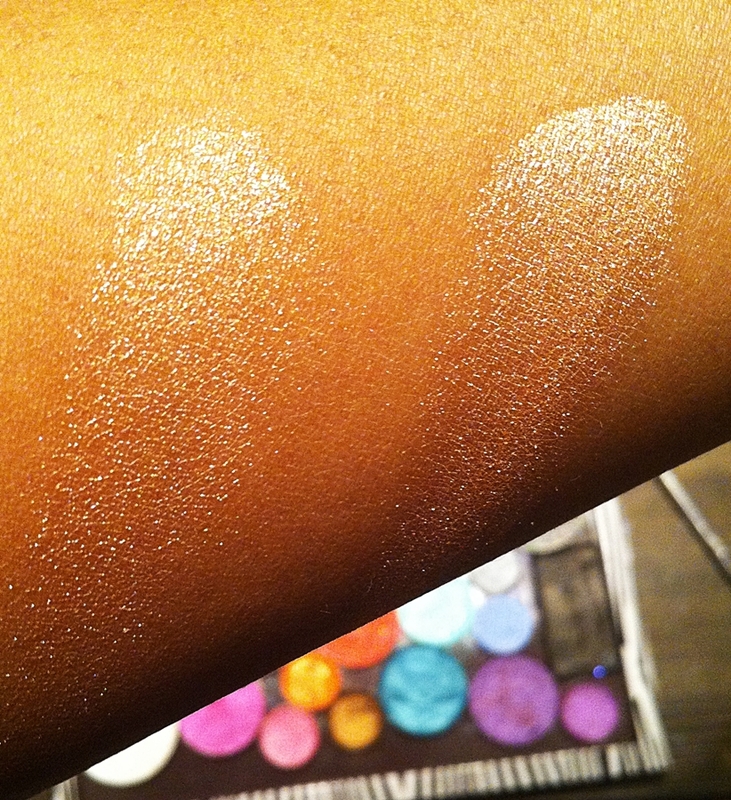 I found my pigment was just too crumbly which led to wasted product & lots of fall-out. So I heard a voice in my head that said to use a lower percentage alcohol & see what happened. And very good things happened. 1: A tool. I used my pro stainless steel double ended spatula. You could use a plastic spatula, teaspoon, cocktail fork, etc or a combination of all of those. 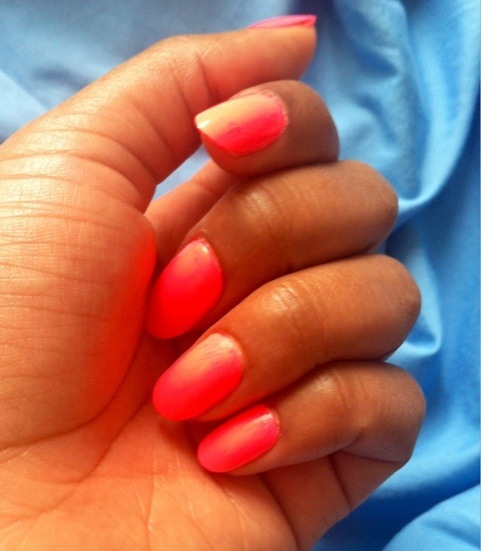 You need something to scoop up/out the pigment and mix it. 2: Empty pans. Empty metal pans… I used some old blush ones that I stuck magnetic stickers to the bottom of (to use with my Z palettes), some old square L’oreal eyeshadow pots, some broken 120 palettes pans, and some Yaby empties. It doesn’t matter where they’re from or if you’re recycling old pans or not, just be sure to properly cleanse them and disinfect with alcohol prior to re-use. 3: Rubbing alcohol. I suggest 50%. I had used the 99% pro type rubbing alcohol and it evaporated too quickly which is what I think led the product to it’s crumbly state. The 50% will evaporate more slowly and although it takes longer to set, it will allow the product to set better and form better in the pan. 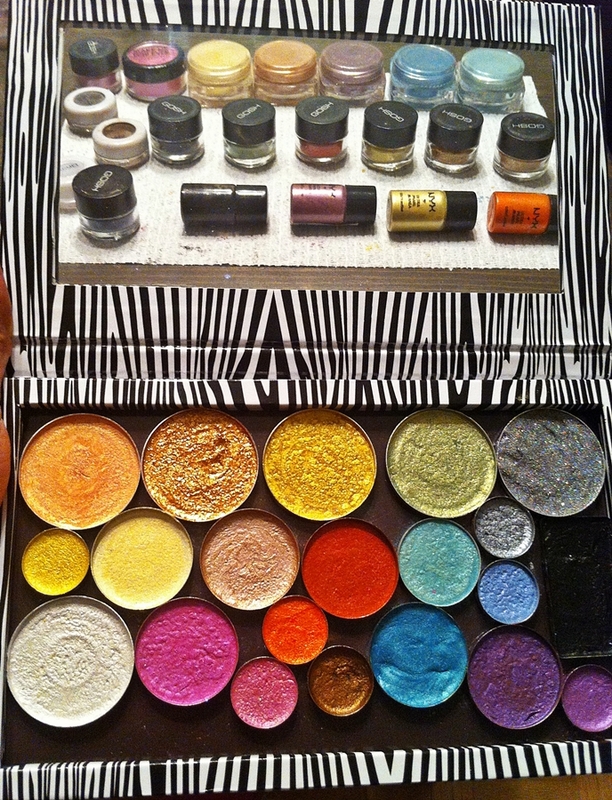 4: Pigments. Some brands may have difficulty in pressing. I used Makeup Forever, Lise Watier, Gosh, NYX and a cheaper brand called Lanmei that I never heard of until one of my suppliers sent me a ton of them along with an eyelash shipment. All of the above worked really well. 5: baby wipes for clean up of your space, and you (I was a hot mess afterwards) and paper towels should be placed all over your work space. 1: Start by filling your empty pan with pigment. 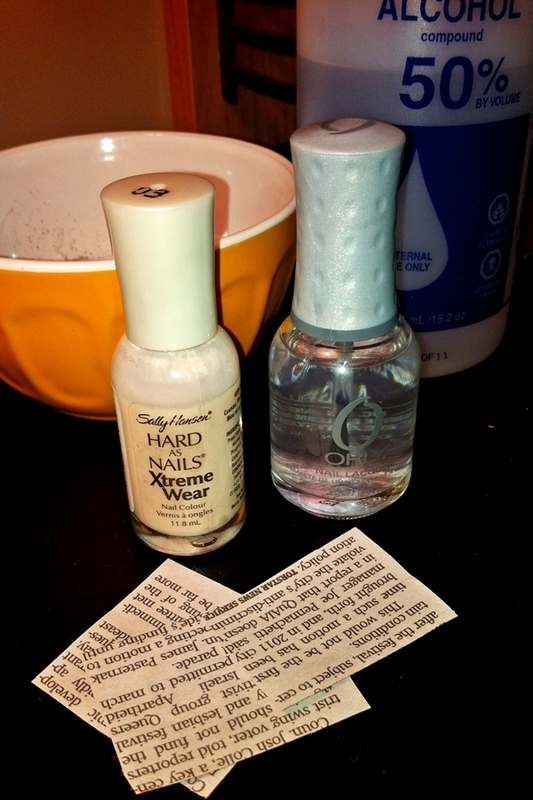 A scoop of pigment and a drop of alcohol at a time until the pan is full, and you have a thick paste-like consistency. 5: You might choose to press them (literally) with a penny/quarter/dime depending on the size of your pan. I chose to press a few, but not the larger ones. In pressing, you can wrap a tissue around your money and press it flatly into the pan of pigment. You can also choose to wrap a patterned cloth around your coin and press in a fancy schmancy design. I skipped all that. 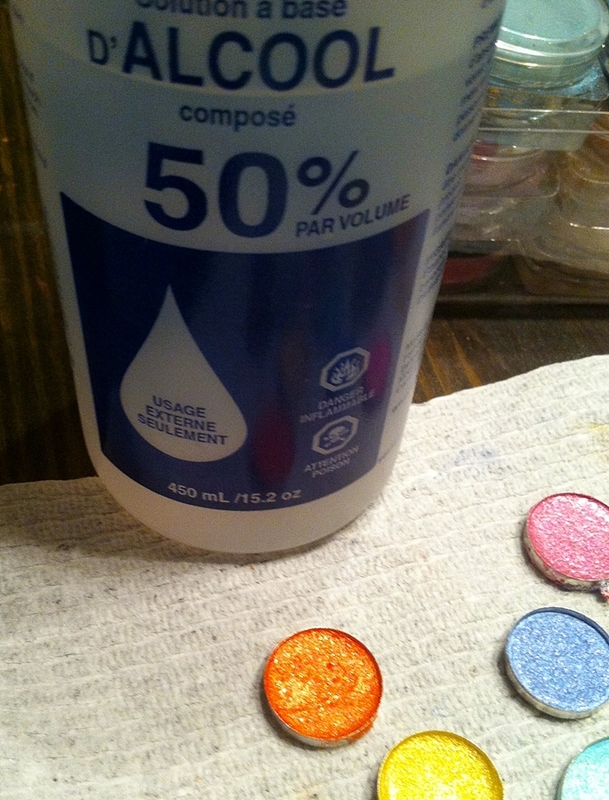 After 3 hours of mixing pigments, I was not feeling fancy or schmancy. 6: Enjoy the fruit of your labour. I took some photos to show what I managed to do. Lastly, I swatched my Lise Watier Folie D’Or from the pot and from the pressed pigment pan after it was dry to test for any colour change at all and I could see none. The only thing it seemed that happened was the colour from the pressed pan seemed more pigmented and would require a light handed application if I wanted it to appear very sheer. 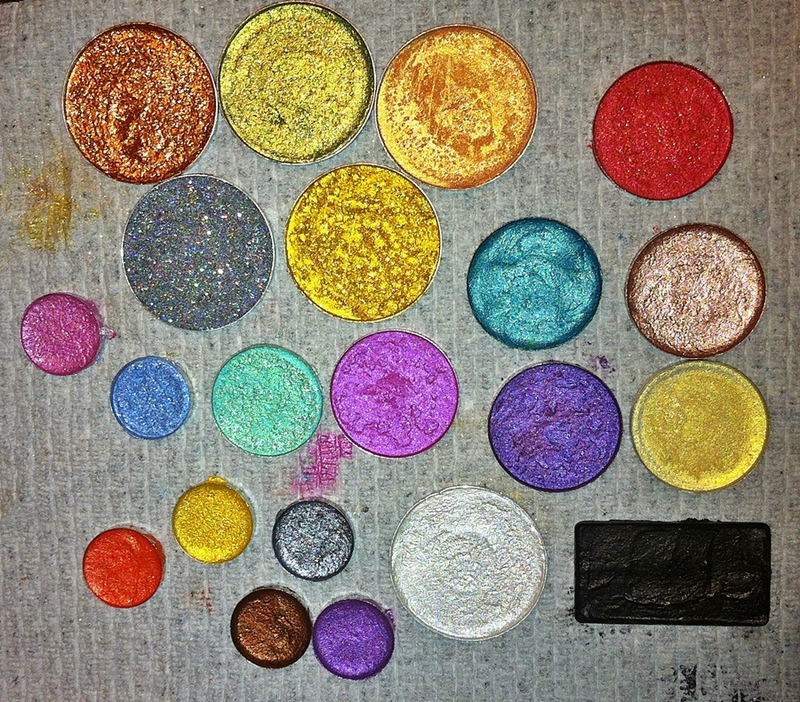 All in all, I am very happy I finally pressed my pigment pots! 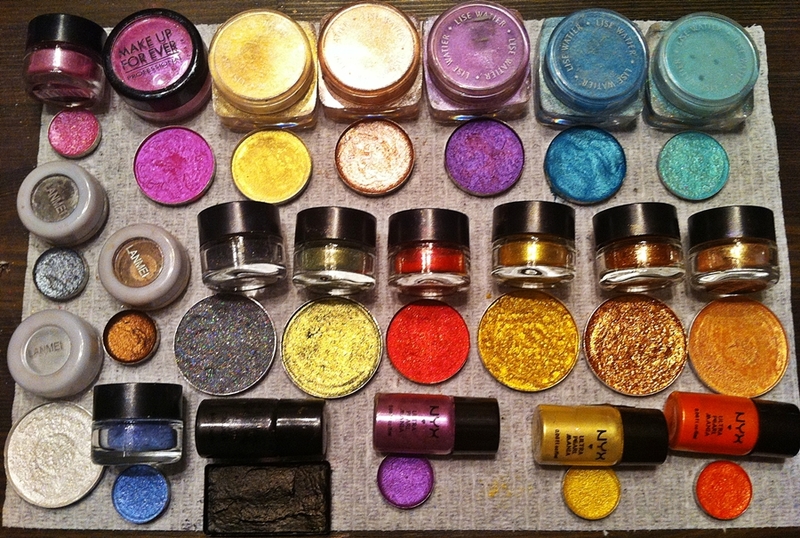 Now I can carry around 21 pots of colour in just 1 Z-Palette, and actually, there’s room for a few more pans… hmmm…. A few months ago, I had an allergic reaction to something. No idea what it was. And I broke out in all kinds of hives and rashes on my face, mostly my cheeks. I took pills and used some medicated steroid cream and it eventually went away in about 2 weeks. After that, I noticed my skin became really sensitive and if I even just *touched* my face, I would end up breaking out and pimples would come popping out all over my cheeks. 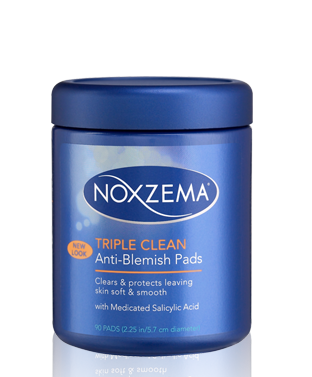 So I was in Shoppers Drug Mart (I know… again… Do not judge me please) and I saw these Noxzema Triple Clean Anti-Blemish pads in their classic cobalt blue Noxzema packaging. They were on sale for $3.49 and, in my classic style, I noticed a $1.00 off coupon just down the aisle. So I figured to try them. Nothing else was really working… my regular Cetaphil & Spectro cleansers didn’t seem to be able to handle the break outs alone and my tea tree oil stick was making my face look patchy and dry, nearly sunburnt. So with only $2.49 to lose, I grabbed a pack. The instructions say to start with using 1 per day, then 2 per day with a max of 3 per day on the face. Well screw that! I was desperate. I started with 3 per day for the first 3 days and then 2 per day for about 3 more days. Before the 5th day, my break out was completely gone. Completely. It’s true that I thought I might pass out from the menthol and camphor fumes, and sometimes I do plug my nose while swiping my face, but they say ‘what doesn’t kill you, makes you stronger’ and here I am, with my face feeling stronger! Moment of truth: these are dirt cheap, a jar lasts about 2 months, your breakout could clear up in a week’s time (or less!) and you have no embarrassing acne routine for people to see and poke fun at you about (i.e. the ‘toothpaste’ trick = no boyfriend wants to see that, or the ‘tea tree oil stick’ that dries out your skin in weird patches and makes you look like you got sunburned, or a bathroom cabinet full of acne products, when you could use just 1 or 2 and get the job done). P.s. these also work on your back if you have upper back acne. 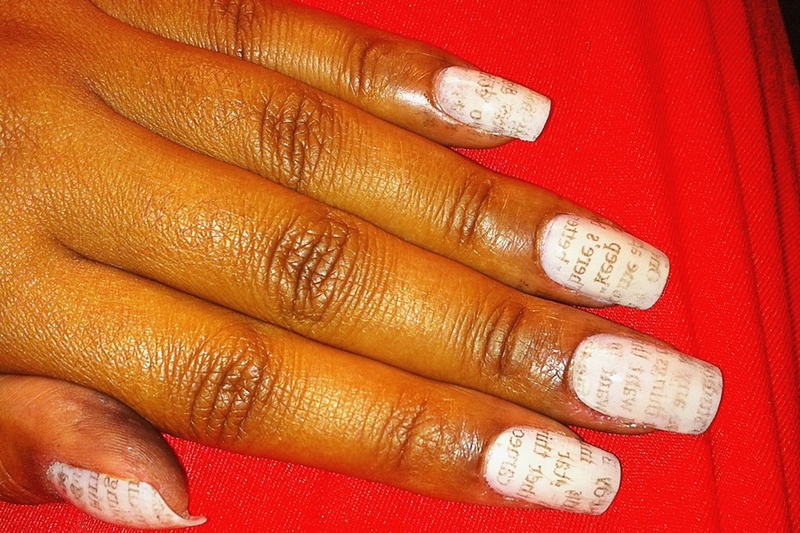 I recommended them to a male friend and he told me that within a week things were looking MUCH clearer! My current routine: exfoliate, rinse, wash, rinse, use the Noxzema Anti-blemish pads once a day (on cheeks only, where my breakouts happen) and moisturize with my Clinique Dramatically Different. My current skin: so clear that I rarely wear foundation…. maybe once a week for a night out. I love these things! And they are now one of my bathroom cabinet staples. Beware, the fumes are STRONG. Like, super strong. 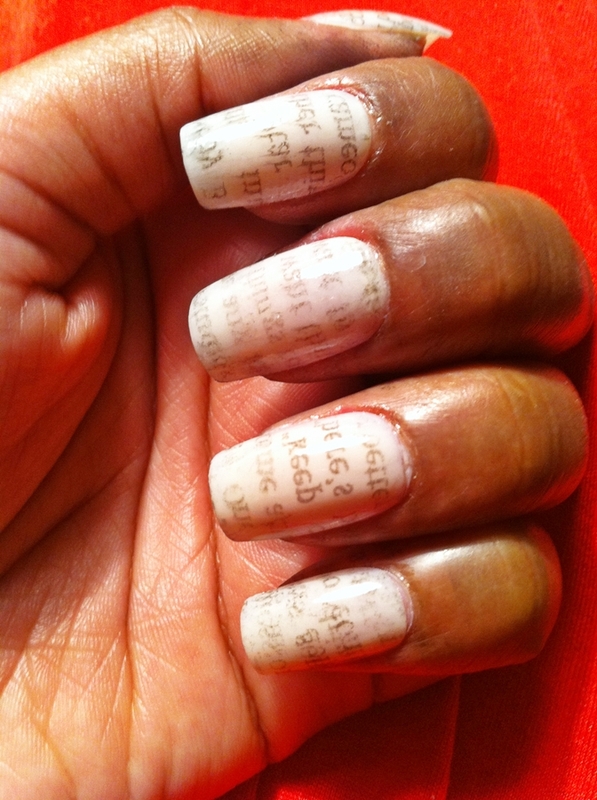 But these are completely worth it. p.s. I have no brand sponsors (pffft- I wish)… So everything I buy costs me out of my own pocket and so, I am always, totally & completely honest about every product I review. Have an acne remedy? skin cure? share it with me! Better than “Mixed Chicks”?? Say what?! Yep, I found a leave-in conditioner that is better, I repeat – BETTER – than the Mixed Chicks brand coveted leave-in conditioner and de-frizzer for curly hair types. I really like Mixed Chicks, I do. I have even used it in my daughter’s hair which has about 3x the twisty-curl factor than my own hair does. It works really well. But I found a product that works even BETTER. Recently, I was in Shoppers Drug Mart (I say recently but we all know it’s closer to ‘daily’) helping my friend shop for some deep conditioner for her hair. 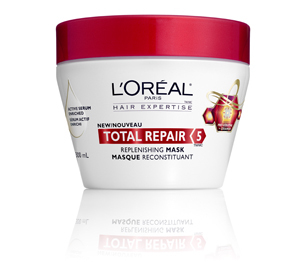 I have used the ones by L’oreal Expertise, specifically this one (below), the Total Repair 5 and I really liked it. It was moisturizing but not so heavy that it weighed down my hair or gave me that ‘greasy bangs’ look. So as my friend was grabbing herself some hair mask, I grabbed myself something new (as always) to do a test run. I’ve tried the Nutri-Sleek shampoo & conditioners from the same L’Oreal Expertise brand before and like them, so I decided to give the leave-in conditioner a try. I have to say, I was amazed by it. It did a BEYOND fabulous job of taming my frizzies and defining my curls without any crunchy gel type feeling AT ALL. It was phenomenal. I only needed a small dollop and it was enough for my whole mid length head of hair. My hair didn’t feel weighed down. AND my boyfriend complimented my yummy smelling hair (it really does smell pretty good, for a styling product anyway). So, is Mixed Chicks leave-in conditioner great? Yes. Does it do everything it promises? Yes. But, is it available everywhere like in a drugstore or WalMart like L’Oreal Expertise is? No. Is it as cost effective as the L’Oreal Expertise brand is? No again. 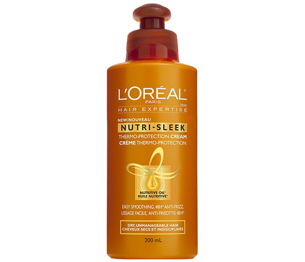 The Mixed Chicks leave-in conditioner is 300ml for $16.99 (per the website and often sells for much more in stores, especially in boutique hair stores where you might be lucky to find it here in Canada) whereas the L’Oreal Expertise Nutri-Sleek leave-in conditioner is 200ml for $4-6 in most drugstores. I bought my L’Oreal Expertise Nutri-Sleek leave-in conditioner on sale for $3.99 at SDM AND had $2 off coupons from the company itself to use. That’s right, it was $1.99. I don’t think this could be beat! If you have thick, wavy, curly, ringlety, corkscrewy, dry, frizzy, dull curls or hair, you probably NEED to get this leave-in conditioner. You just didn’t know it until right now. And with summer coming, a.k.a. “big hair season”, this will probably become your life line. Now go forth and shop! Have a fave hair product? Tell me! Want me to put something to the test? Ask away!